There has been a little bit of criticism of Samsung and their decision to drop the removable battery from the Galaxy S6 and enclose the device. However, following instructions provided by Samsung themselves users can have a go at replacing the battery down the line if they require it. 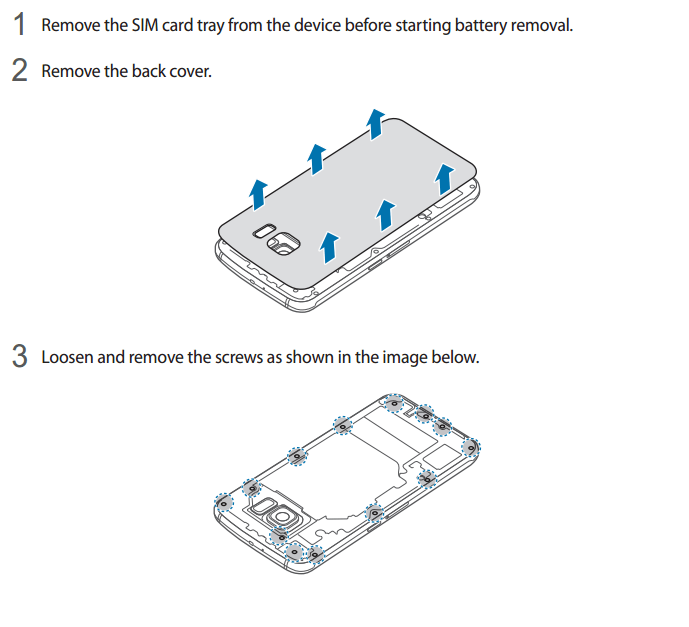 Whilst it is certainly far from being as simple as swapping the battery on previous Galaxy S devices and most other Samsung phones over the years, there is still technically a removable under the cover and the directions are not exactly rocket science. Attempting this on your own is doing so at your own risk, it will possibly invalidate the warranty. If you are not a qualified Samsung engineer you should probably not try this, or perhaps you should enrol to become a Samsung engineer and then attempt it. In the Galaxy S6 manual linked above see page page 138.